Great for removing molding around doors, flooring, and windows. 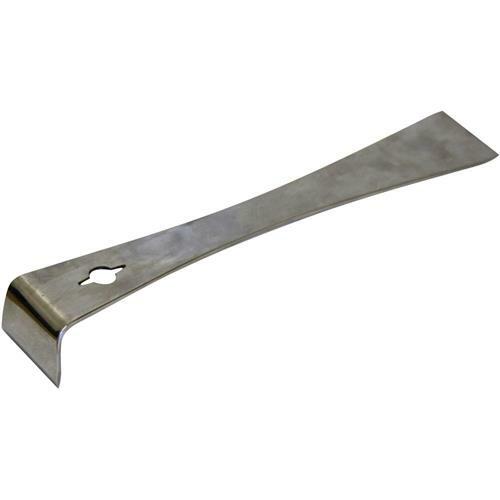 Also use this pry bar for all types of pulling, prying, and scraping applications. The built-in nail remover can pull both small tacks and large nails. Drop forged, heat treated steel gives it maximum strength and durability. The stainless steel and mirror polished finish resists rust and corrosion.